. Pally Palette: A place for pencils and every pencil in it's place. A place for pencils and every pencil in it's place. Part of the art curriculum relates to developing an understanding of the value of materials and equipment and how to care for them. When I first took over the role of art specialist here I was surprised how often I had to replace textas and pencils that had been lost or mistreated, at one stage I was going through 5 or 6 pairs of scissors a week, generally these are not considered consumables! As a result of this the children now bring a set of art room equipment to our studio- a pair of scissors, a couple of 2B pencils, a sharpie and an artline marker. 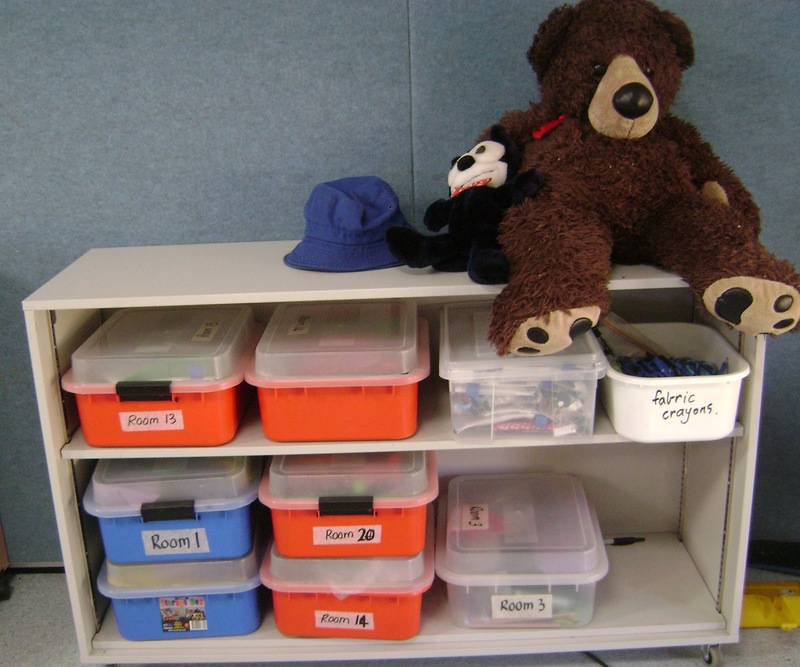 The children are in charge of making sure they put their equipment away properly at the end of each lesson. The littlies pop their equipment into class pencil cases, one for scissors one for textas etc. This is an easier system for them to manage. 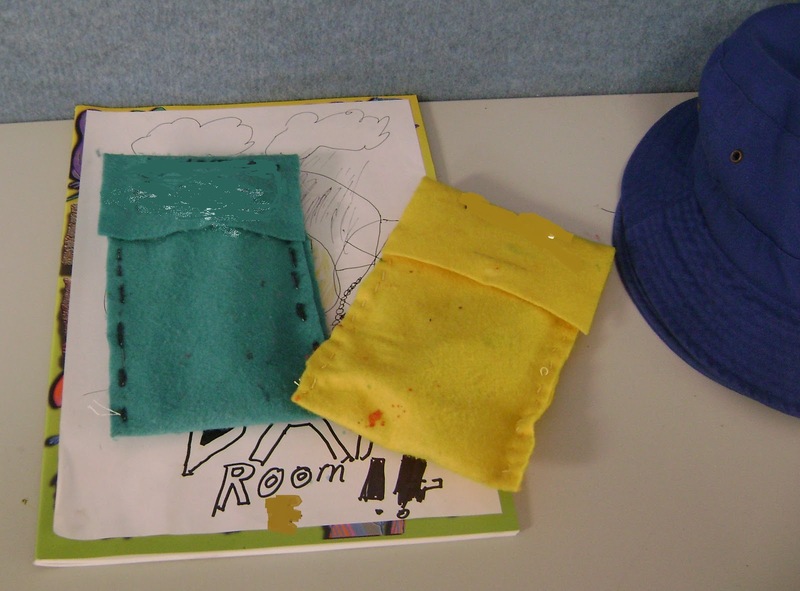 The older kids have made their own pencil cases which follow them from class to class year to year. 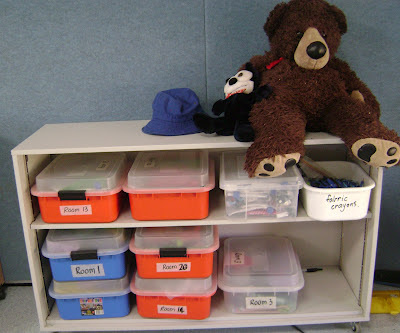 Each of the year 3 to 7 classes have a box with a clip on lid to contain all the pencil cases and keep them safe and sound from one week to the next. Even though last week I had to have a bit of a blitz on pencil cases, after finding several left lying about over the past few lessons, I have noticed a huge improvement in how the kids care for their own and class equipment. Last year I promised the year 2s (this years 3s) that they would get to make their own pencil cases this year and they remind me every other week about that promise. So this evening I went to spotlight and bought a fresh supply of coloured felt and some thin crochet thread to use for nice contrasting stitches and tomorrow I will begin with room 14. I will keep you posted with examples of their needle work!